Come see us at the 89th Annual Kimberton Community Fair! Come visit us at the 89th Annual Kimberton Fair, July 24-29. No pre-orders will be taken but we’ll cook to capacity each day! It’s always a good idea to arrive early to avoid any wait time! Last Sale Before the Fair! Next sale is June 26 & 27. This will be the last sale before we gear up for our BIGGEST week of the year – the Kimberton Fair, July 24 – 29! Hope to see you soon! Happy Spring! This month’s sale is planned a week earlier than normal: Monday, May 22, & Tuesday, May 23. Thank you for joining us for February sale – it was huge! Your support is overwhelming and most appreciated. Order now for March 27 & 28 pickup. Order Now: Biggest Sale Of The Year – Fastnacht Day! Celebrate Fastnacht Day, Mardi Gras, & Fat Tuesday deliciously with Kimberton Fire Company Aux. Donuts! Order now for Monday, February 27, & Tuesday February 28. We’ll have extended pickup hours to help accommodate this massive sale. Thank you for all your support in 2016! We are very pleased to offer eight donut sales this year plus all week at the Kimberton Fair in July. Thank you for supporting our all volunteer effort and we’ll see you soon. As you may have noticed we’ve updated the website! The new layout will make mobile and tablet ordering much easier ! Let us know if you encounter any problems and we’ll get it fixed right away. I am glad you’re back, miss you a lot, I’m losing weight. I was late last time. Thanks for the call! Love your donuts, they are the best!!!! Thanks as always for your service to the community AND these delicious doughnuts. Glad to support such a worthy cause. Love these Doughnuts. Hope everyone there had a safe and Happy Easter. Keep up the good work! Your donuts are the BEST! Thank you for making such a delicious product!! They are YUMMY!!!!!! We and our family & friends ‘love’ your cinnamon donuts! Looking forward to the best donuts around! Way to kick off the Lenten season! Your donuts are the best ever. Thank you so much for continuing to make the available throughout the year. Thanks for offering this convenient ordering method. Glad to support such a wonderful organization. Every one is DELICIOUS. Thank you to all of the dedicated volunteers who continue to make these delicious donuts available! May God bless each of you! Spring is officially here – Yippee! We had a pretty mild winter, but it is always exciting when the spring weather arrives. The Auxiliary decided to stop advertising in a paper newspaper, that would have been The Mercury. It is expensive. We will continue to send out our email Blast to those of you who wish to receive them, and we usually have a little something in the online news outlet, The Patch (Phoenixville edition). It can usually be found in the Bulletin Board category. So, it is important to keep the little piece of paper with our donut schedule, which is attached to each order. Please help us remind our non-computer savvy friends and family who came to expect an announcement in The Mercury. We are sorry for any inconvenience. We had a very successful “Fastnaut” time donut sale in February. Thank you to everyone who ordered donuts, and thank you to our loyal volunteers who made, packed, advertised, and sold the donuts. 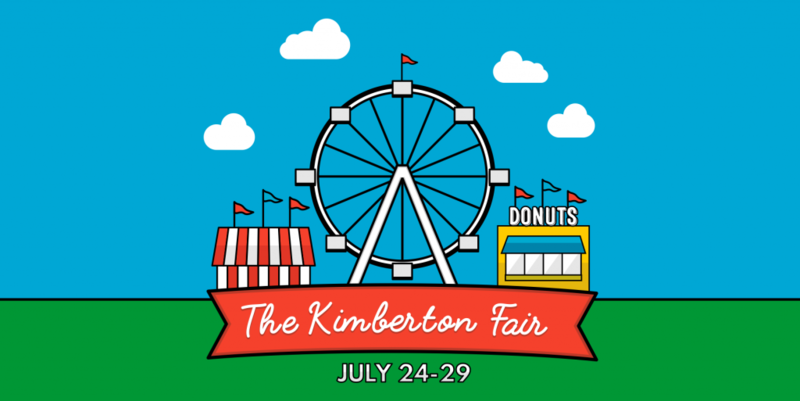 Please start thinking about volunteering for our donut sales, but especially consider working at shift or two during the last week in July during the Kimberton Community Fair. For some reason, we especially need lots of volunteers for the latter part of the Fair week. Keep it in mind if you could, it is greatly appreciated, and helps fund our Fire Department. You can call our donut line at 610-935-1388, option 4, to leave a message of your interest in volunteering. Be well! If we have bad weather for this or any of our sales during the winter, please check for announcements regarding cancellations, or postponement before you head out to pick up your donuts. You can call 610-935-1388, or go to this website for updates.